Fancy a midweek pick-me-up? How about a lovely 20% off full-priced pieces at Oasis? Simply enter MAY20 at the checkout to receive your saving. 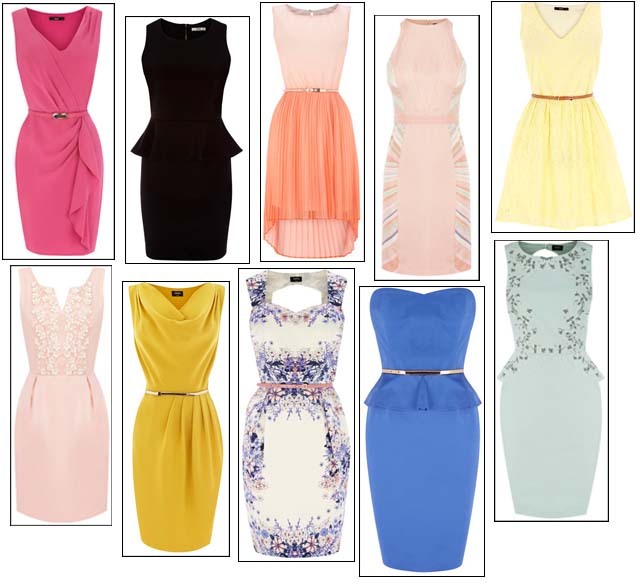 They are one of my favourite shops on the high street at the moment, I adore their feminine waist-cinching dresses. Featuring the hottest trends for this season, including pastels, brights, prints, peplums and dipped hems, here are my favourite dresses from Oasis. Oasis V-neck drape dress – £60. Oasis scuba peplum dress – £45. Oasis ombre pleat dress – £55. Oasis scarf print dress – £85. Oasis lace skater dress – £55. Oasis Jasmyne petal dress – £90. Oasis cowl drape dress – £60. Oasis Rosa print dress – £65. Oasis Charlie peplum dress – £60. Oasis Bethany buttercup dress – £80.